This order was my first time using PCBWay and I am blown away by how seamless from end to end the entire process is! I love the technological process tracking, it’s funny, but it reminds me a bit of how some pizza places track the progress of your pizza. My order was accepted, manufactured, shipped and in my shop in no time at all! The quality of the boards, through-hole plating, silkscreen, bottom side tinning, and everything is a definite A+. I received excellent communication and engineering cooperation from the beginning. Although there are other PCB manufacturers that I like, I am going to use these guys going forward! I’d recommend them for prototyping or production. 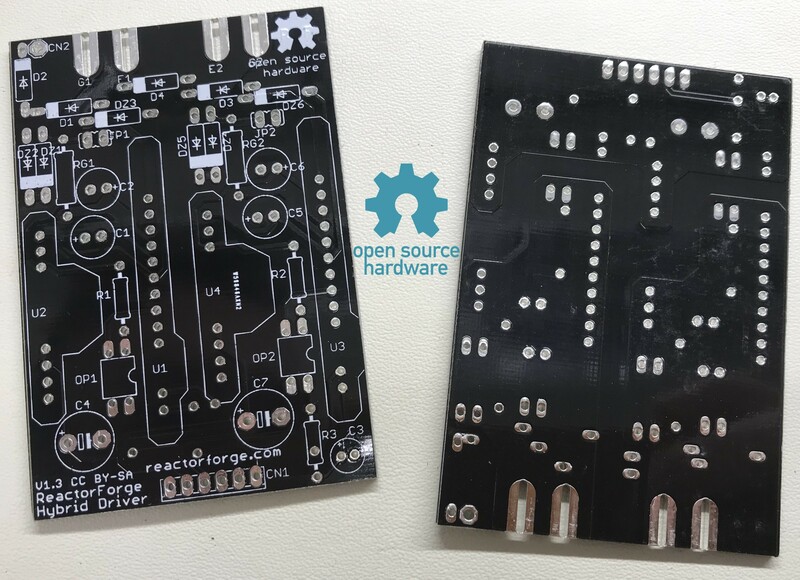 I especially like that they encourage open source projects by allowing you to share your board designs, schematics, and project details after ordering. Here is the Hybrid Driver v1.3 in PCBWay’s project sharing section. They make it easy for others to order boards since all the Gerber files are already there and pre-approved. They even give a 10% back to the project creator. Check it out and take a look at there projects, there are some impressive ones. I like OpenReflow, a control board to convert a simple toaster oven into an accurate reflow oven for soldering SMD components. The new driver boards look great. I like the high gloss black solder mask and the highly visible white silkscreen over it. The slots for the IGBT gate connections turned out great. The board edges are clean and completely burr free. The only mistake I’ve found is that I forgot to set the OSH logo font to vector, so it expanded a bit and overlapped the G2 silkscreen. I also tweaked a few device name silkscreen positions to improve visibility. I’m waiting for the bulk orders of the VLA106-15242 isolated DC to DC converters and the M57962L gate drivers. After that, I’ll stuff the boards and get them in the ReactorForge to continue refining the firmware. I’m planning on making the IGBT Driver (Hybrid Driver v1.3) the first complete kit. Of course, it will be standalone, apart from the rest of the induction heater. I’m ok with having the major components of the induction heater available individually as well as part of the whole machine kit. I have never made a kit like this, but I am entirely confident that I can put together a great one. Still, this will give me the chance to test that confidence on a smaller scale. I’ve already established a supply chain for the parts and the PCB. 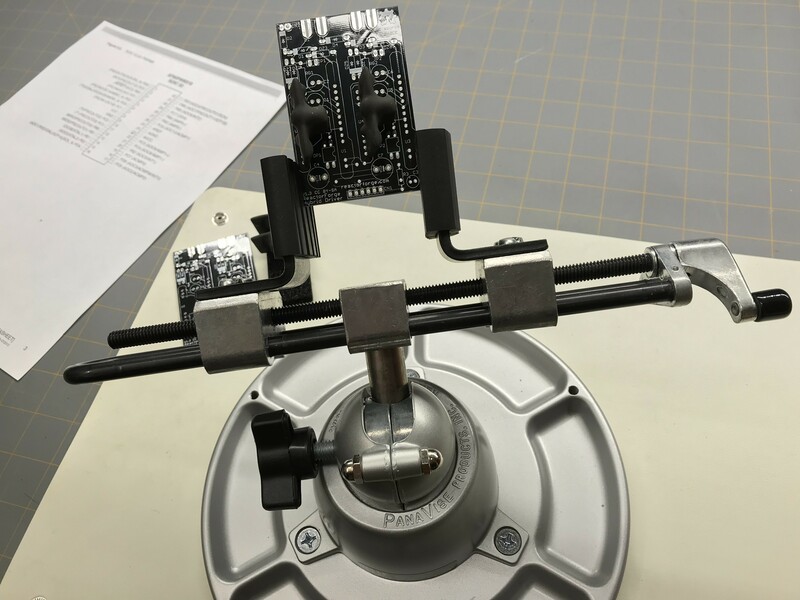 What’s left is ordering consumables such as antistatic shielding bags, labels, and packaging. Then, of course, the written plans or instructions for the kit.